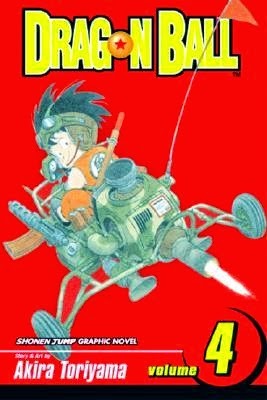 This review covers Chapters 24-54 (Volumes 3, 4, and part of 5) in the Dragon Ball series. Goku visits Kame-sen'nin, the Turtle Hermit, for a course in martial arts. Goku and a second disciple, the arrogant "Shaolin Shorty" Kuririn, survive their regimen of training. Goku and Kuririn are among the eight contestants in the World Fighting Tournament. Kuririn faces Bacterian, but can he fight someone he can't stand the smell of? And Goku's first opponent is right out of a monster movie! Goku being adorable can make up for a lot of what is wrong with this series. The beginning of this saga felt like a let down after how the Emperor Pilaf Saga ended. The middle with parts of the training were a little dull, but the end was better, as they neared the tournament. Considering this is a martial arts manga, it is expected that there will be some fighting and action sequences, but it was so well written and well portrayed that it was a good, easy read. 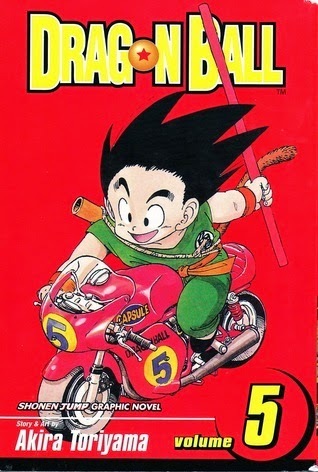 There was some filler, but I think it added to a lot of the world building and general quirky aspects of the Dragon Ball manga. Volume 4 is enjoyable, but could be better. Toriyama keeps up the fun and invention of Dragon Ball while ramping up the action and drama with this brilliant fighting contest. 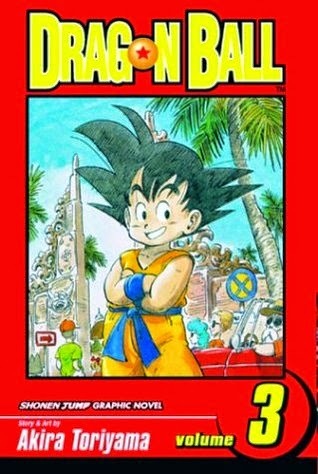 The Strongest Under the Heavens tournament ends with Son Goku squaring off against Jackie Chun in the final, and it might be the best fight/action sequence I've read in sequential art It’s so unpredictable, almost as if Toriyama didn’t know himself who he was going to let win! Overall: 3.5/5 for the entire saga. I do think it ended up being too long of a saga and that somewhere along the way, I stopped caring until the end fight. However, it was still entertaining!